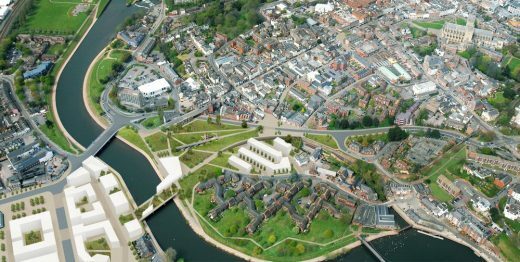 Liveable Exeter shows how the Council’s plans for 12,000 new homes by 2040 will benefit existing communities. 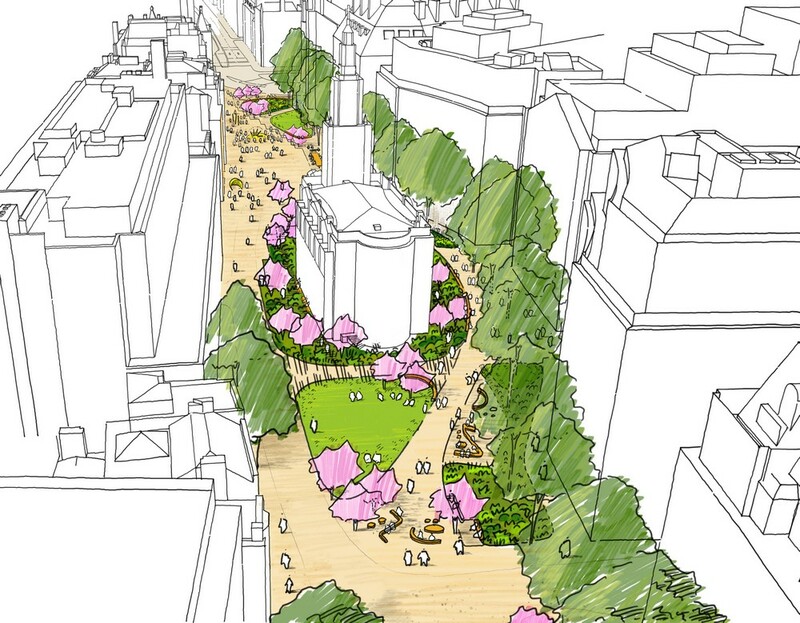 Please visit https://strandaldwych.org/ for more information. 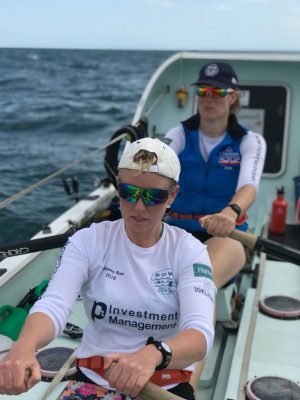 Kirsty is part of the four-woman Row for the Ocean team taking on the world’s toughest row, 3,000 miles across the Atlantic Ocean in the Talisker Whisky Atlantic Challenge. The race, which begins in just under two weeks, starts in the Canary Island’s La Gomera and ends up in Antigua. The Row for the Ocean crew, sponsored by LDA Design, is one of only twenty eight teams competing. The quartet will row in pairs for two hours and rest for two hours, around the clock. 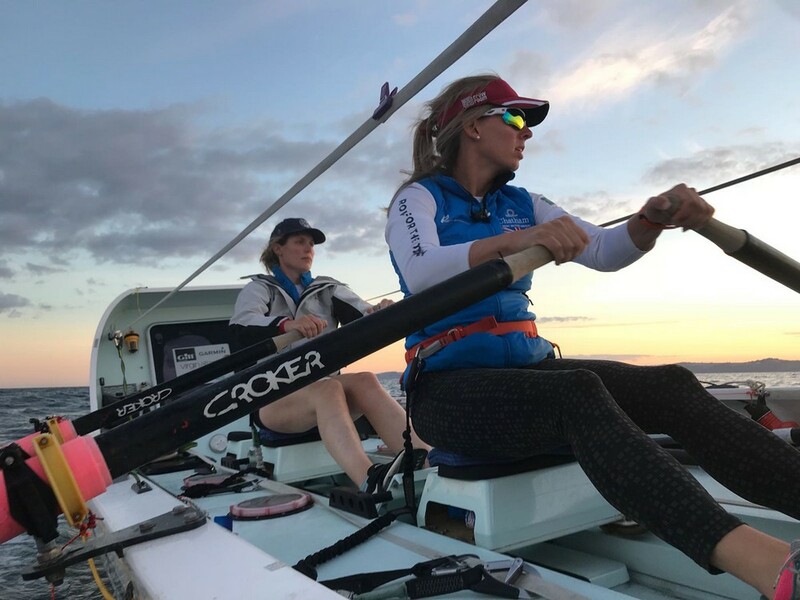 They aim to break the world women’s record for the fastest crossing, which stands at 34 days. In adverse conditions, the row can take up to 70 days. Kirsty is joined by Rosalind Holsgrove-West, Kate Salmon and Laura Try. The team, who were brought together by their passion for adventure, are raising awareness of the plastics crisis affecting our oceans. They are racing in support of NGO Surfers Against Sewage and a Plastic Free Exeter, which aims to make the city plastic-free by 2020. 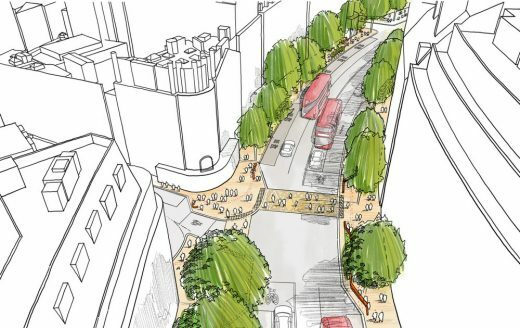 Edinburgh’s City Council has unveiled plans to enhance the civic grandeur of George Street, one of the Scottish capital’s principal shopping thoroughfares. 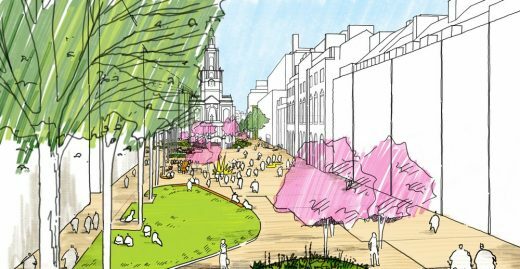 The scheme, which feeds into a citywide vision for long-term growth, will help Edinburgh to remain a vibrant place to live and visit. 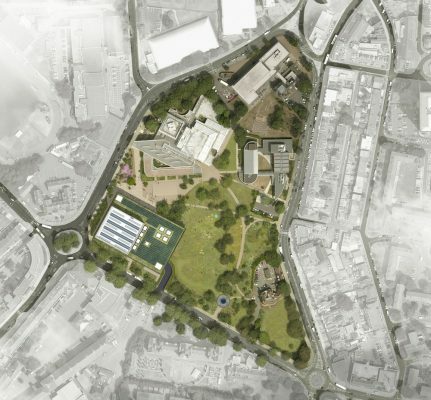 The University of Portsmouth’s new multi-million pound sports centre, with public realm by LDA Design, has been given the green light by the city’s Council. 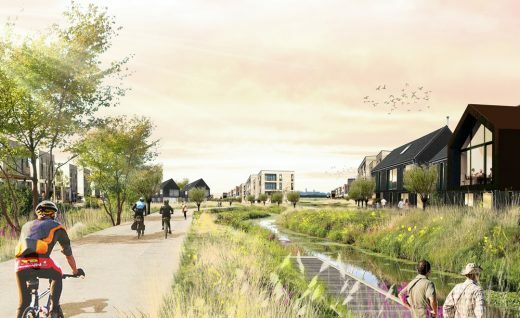 Car-free streets are at the heart of plans for 4,500 homes at a new town at Waterbeach, north of Cambridge, south east England, UK. 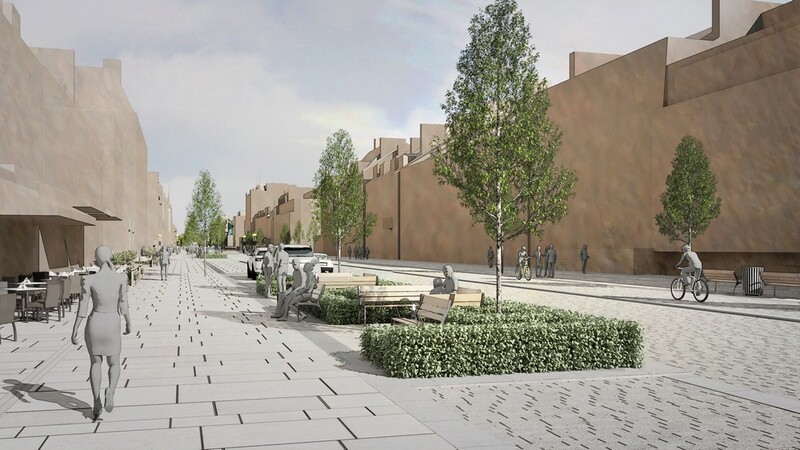 Chris Goldsmith of developer RLW Estates commented: “We will create the first New Town in the UK that truly puts people first and ensures that their local area is designed for them, not their vehicles.” Cars will be parked at the edge of the steads. Waterbeach New Town is north of the existing village of Waterbeach and allocated for development in the draft South Cambridgeshire Local Plan. The New Town East application covers the land that is east of the former Waterbeach Barracks and west of the Fen Line Railway. 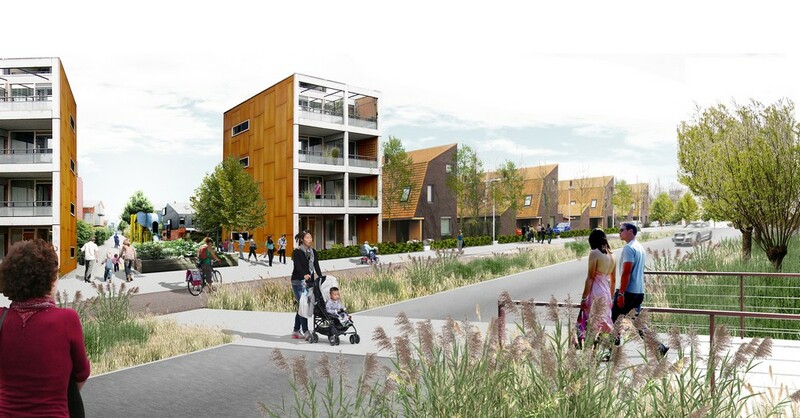 Waterbeach will be a place to work as well as to live. 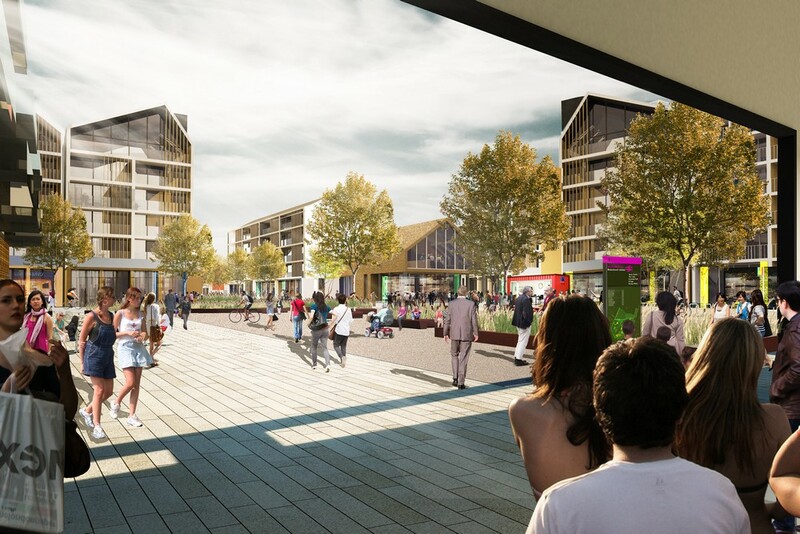 The planning application proposes 4,500 new homes, extensive work and retail space, two primary schools, a secondary school, a sixth form centre and community facilities. A separate application has proposed relocating the existing station at Waterbeach to the New Town. 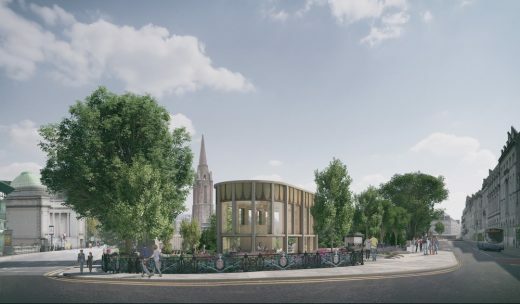 Alongside the Greenways cycling initiative which RLW will part fund, these will provide sustainable alternatives to travelling to Cambridge along the A10. RLW Estates is a joint venture company specifically established to promote and deliver a New Town at Waterbeach. It brings together a local landowning Trust; St John’s College, Cambridge; The Royal London Mutual Assurance Company, and; Cambridge based developer Turnstone Estates. RLW Estates’ involvement in Waterbeach began more than 15 years ago, with the commercial objective of value creation through promoting a place that will attract long-term investment and foster an enterprising and vibrant new community. 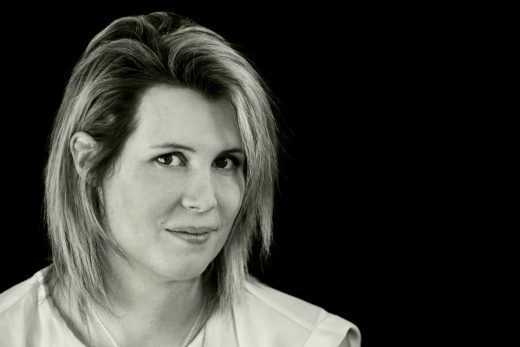 Independent creative consultancy, LDA Design, is to become an employee-owned business. 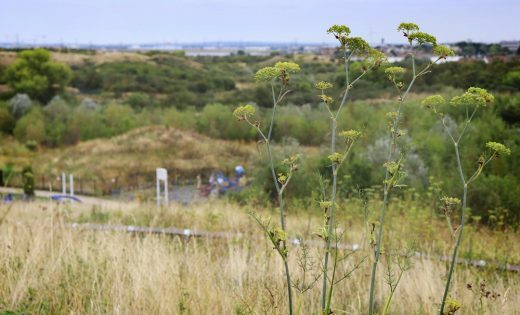 The company behind the masterplan of Queen Elizabeth Olympic Park celebrates its 40th year in business next year and employs 150 people. The move to employee ownership is part of an ambitious programme, which this year includes opening three start-up studios in Bristol, Cambridge and Manchester. “This move is a bold and exciting one for us. The Board wants to share the business to grow it, and believes this to be the right way to secure a long and bright future,” explains Andrew Harland, LDA Design Chairman. Much of the fine grain detail needs to be ironed out. Harland estimates that it will take about two years to complete the process and to set up an Employee Ownership Trust. 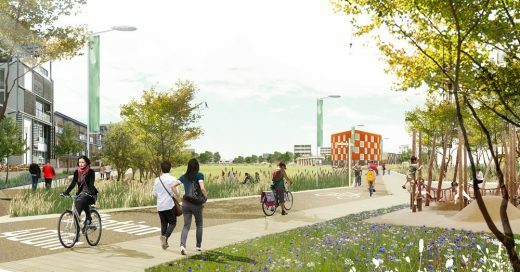 LDA Design’s landscape-led approach connects people and place. 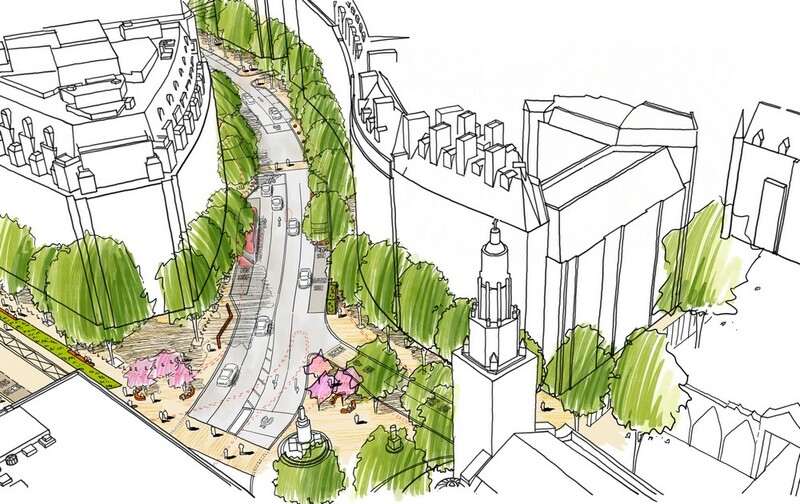 The practice is made up of masterplanners, urban designers, landscape architects, ecologists, and town and environmental planners. Whether it is a garden village, new station, park or urban district, LDA Design starts with what people need and want. Recent projects include: a new settlement at Waterbeach, Cambridgeshire; working in a multi-disciplinary team on HS2 and the transformation of Euston Station in London; the design of all the new public realm at Battersea Power Station in London; leading the regeneration of Union Terrace Gardens in Aberdeen and the transformation of Plymouth City Centre. 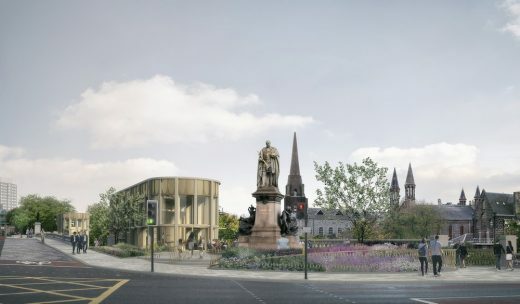 The transformation of Union Terrace Gardens is to start later in 2018 after the detailed planning application was unanimously approved today by Aberdeen City Council’s Planning Development Management Committee. 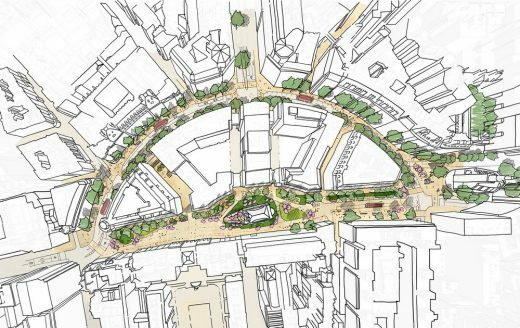 LDA Design is an independent creative consultancy helping clients to deliver great places that work well and where people belong. We provide landscape-led masterplanning, design and planning services to developers, landowners, communities, universities and government. We follow the principles of ‘first life, then spaces, then buildings’. Whether the project is a park, a port, a tidal lagoon or a new urban district, we focus on the needs of people affected. We then design spaces which create opportunities for encounter and exchange. 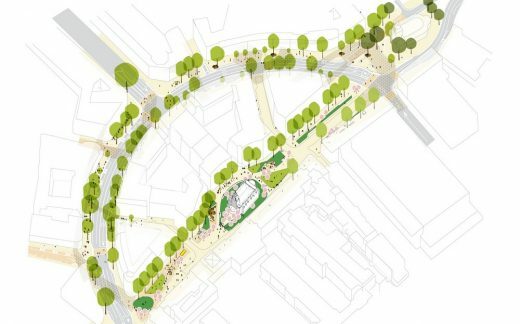 The consultancy has received over 100 awards for contemporary and historic parkland design, urban renewal and historic town centre improvements. 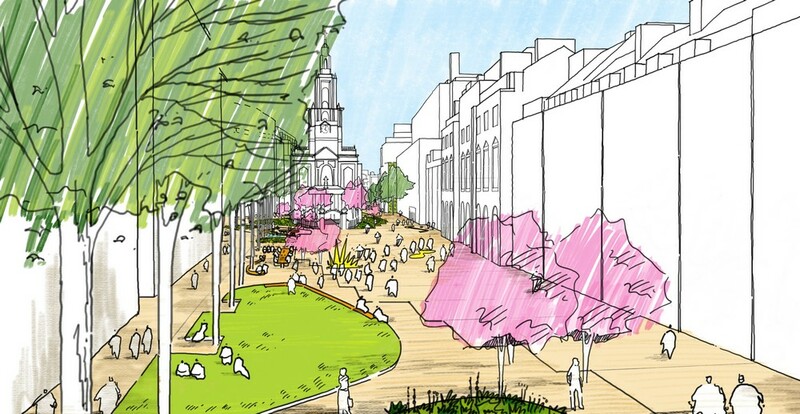 LDA Design led the masterplanning and detailed design of the Olympic Park and the design of its post-Games transformation. 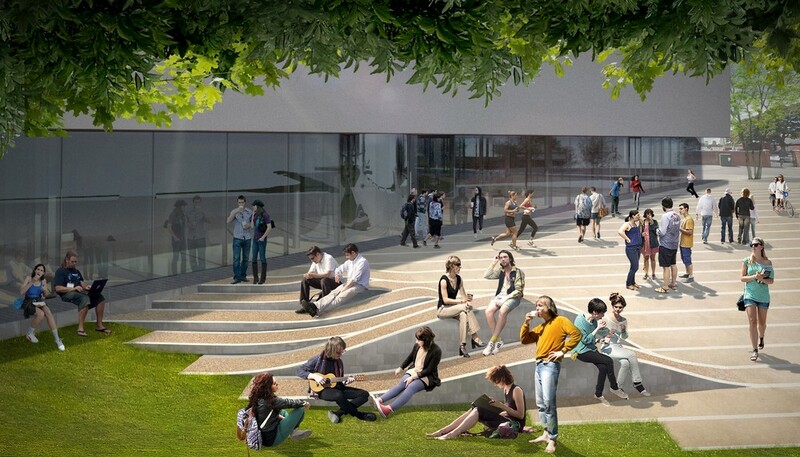 Since then we have masterplanned University College London’s pioneering new campus. We are responsible for delivering the public realm for Battersea Power Station and are working on a new vision for Edinburgh’s George Street. 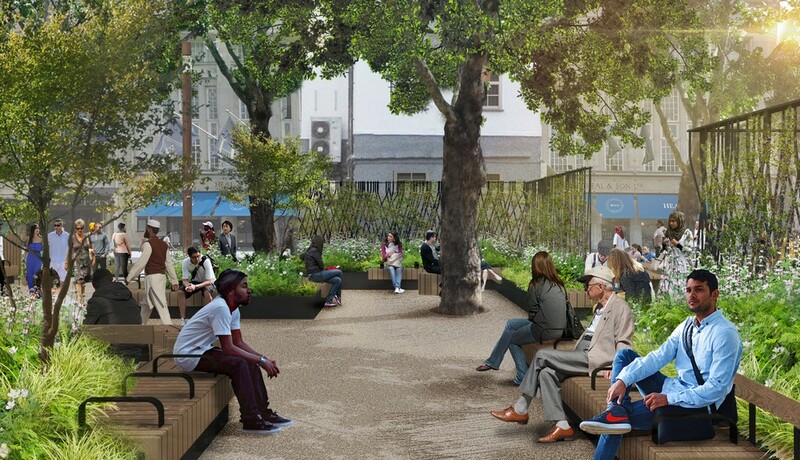 We have successfully delivered over 50 Heritage Lottery Funded park restoration schemes including Burgess Park and Victoria Park in London, and Gorky Park in Moscow.